Scott Adams draws and writes Dilbert, a comic strip that in the 90s boomed and still is quite popular. Its depiction of office politics and the idiots we have to put up with at work is still fun and quite pointed, because some things just never change. Adams is a leftist, but less so than most, and recently he angrily wrote about how he's not voting for Obama. For the record, President Obama did not technically kill anyone to get elected. That was just a hypothetical example. But he is putting an American citizen in jail for 10 years to life for operating medical marijuana dispensaries in California where it is legal under state law. 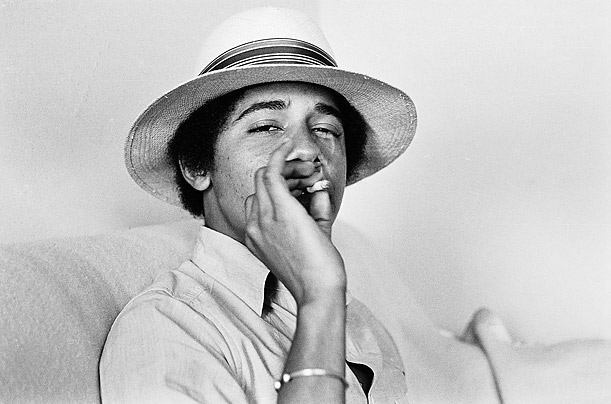 And I assume the President - who has a well-documented history of extensive marijuana use in his youth - is clamping down on California dispensaries for political reasons, i.e. to get reelected. What other reason could there be? Now, its pretty sad that Scott Adams was apparently willing to put up with President Obama being a lousy president, getting an embassy staff raped and killed, shipping guns to Mexico, bowing to tyrants, making the economy worse, doubling the debt, breaking nearly every promise he's ever made, and so on. But this seems to be a personal issue for Scott Adams, one might even say where there's smoke, there's fire. Like a lot of people today, Mr Adams probably smokes weed. It is almost required in the entertainment community, and they tend to do so openly and without fear of reprisal. When's the last time you saw some rapper get tackled by DEA guys while sparking up a doobie for a video? I've made the case several times in the past that the federal government has absolutely no constitutional permission to regulate, ban, or control drugs inside states, even if its a really great idea. The constitution only allows the federal government limited power to deal with things happening between two or more states, or with other nations. So they could ban drugs being imported into the United States, and they could ban drugs being shipped between states, but not inside them. So arresting and jailing some guy in California for using or selling marijuana in the state is unconstitutional and tyrannical. So is telling the state how their businesses have to produce milk or what color their highway workers have to wear, and ten million other things the federal government does. That's a huge issue that needs to be tackled, and I'm fine with doing it one at a time. "It would be just like liquor," says Stanford, who has tried for years to end what he considers an ill conceived and damaging pot prohibition. If you're 21 or older, you walk into a state-licensed store and buy a pack of pre-rolled joints, or a baggie if you're looking to buy in bulk, or marijauna-laced food, or a bottle of cannabis extract. The state-licensed agent rings up the sale, which includes a state profit margin, and you're on your way to getting legally high. Stanford estimates $140 million a year in state revenues from sales, a number he says he got from a study by a Harvard economist. Initially, he says, prices will spike. So will use, as people who have wanted to smoke it but didn't out of respect for the law or concern for appearances, take it up. But prices will go down over time as the market settles in -- usage, too, as the novelty wears off, he predicts. Furthermore, Stanford says, he doesn't expect to see a huge outburst of home cultivators, because it's not as easy as it looks to grow good bud. "It's easy to sprout and grow," he says, but not to produce the high quality, high-THC content plants that the state stores would sell. "There's a learning curve." [Umatilla County Sheriff John] Trumbo expects a wave of home growers, which could lead to neighbor-on-neighbor complaints, thefts and plenty of other mischief that cities and counties don't have time and money to combat. A rapid influx of marijuana users is going to mean a similar increase in intoxicated driving, he says. More police officers and deputies are going to be forced to take expensive and time-consuming courses at the state police academy to become drug recognition experts. Cops are almost uniformly opposed to adding yet another way for people to get messed up and cause trouble. And I agree with them. The fact is, when you smoke pot, you're not a reliable driver or very trustworthy operating any heavy machinery. Further, you can't experiment with legalizing something like weed. Once that genie is out of the bottle it cannot ever be put back in, it will be impossible to reverse once legalized. And its pretty well universally accepted that alcohol is detrimental to society in many ways, as District Attorney for Clatsop County Josh Marquis argues: "From a pure policy standpoint, I don't want to introduce yet another intoxicant and open the spigot full blast so everyone can get stoned all the time. Look at what a dreadful job we've done keeping alcohol from being abused by adults, and worse yet, by kids." What's the benefit to society of adding another legal substance to the list that we know is problematic? Sure, its not what scare movies like Reefer Madness say, but marijuana is problematic, I've personally seen it destroy lives and the problems it can cause. And its a known carcinogen, it is just weird to me that at the same time people argue we have to cut back use of ALAR and breast implants because of cancer concerns, the same society which bans asbestos because of cancer fears wants to add another carcinogen to the legal list? The truth is, I would argue for a state's right to do stupid stuff like legalize drugs, and against the federal government interfering. But I'd argue at the same time that it is stupid and ought not be done. And the benefits, such as tax revenue, would be at best very minimal because if you raise the price enough to make any tax revenue worthwhile, people will just grow their own. Many are going to anyway, but they'll be much more inclined to if the cost gets too high. And if you think somehow that legalizing weed will mean no more drug violence, drug dealers, or people shipping product across the border, you apparently have never heard of bootleg cigarettes. And yes, people still make moonshine and sell it, too. Incidentally, Paul Stanford, the guy behind this bill? He was the guy behind medical marijuana in Oregon and various hemp laws. Its so stupidly transparent what these guys are trying to do but they lie like rugs when it comes up. People need to be just honest. This isn't about liberty, it isn't about state's rights, and it isn't about consistency with alcohol and cigarettes, its about smoking weed without feeling guilty or worrying about getting busted. Be honest. Honestly, it's about ALL those things. I don't smoke and haven't for over a decade, but I'd support legalization at the state or federal level even if there was no tax revenue and no medical benefit, simply because the government doesn't have any business telling people they can't get stoned in their own home (or make money by helping a person accomplish that goal).